What do Anthony Anderson, Larry King, Tracy Morgan, and Patti Labelle all have in common? Diabetes. Do you really understand what diabetes is? I'm going to give you diabetes explained, the signs, symptoms, treatment and more. What Is Diabetes Mellitus Type 1 and Diabetes Mellitus Type 2? Every cell in your body needs sugar or glucose. In order for that sugar to get inside of your cells, you have to have that magic key, insulin, which is a hormone that is produced by your pancreas. Now when your body does not produce enough insulin, then sugar cannot get inside of your cells sufficiently. This is what happens in diabetes mellitus type 1. And even if your pancreas produces enough insulin but your cells are resistant to that insulin, then that magic key doesn't work and you still don't have enough sugar inside of your cells. This is what happens in diabetes mellitus type 2. Now with both types of diabetes, the cells don't have enough sugar to function properly and you end up with excess sugar outside of the cells or in your bloodstream. This causes high blood sugar, which is diabetes. This elevated blood sugar is toxic to your organs, which can cause symptoms and complications of diabetes. Over 30 million Americans have diabetes and over 84 million Americans have pre-diabetes. 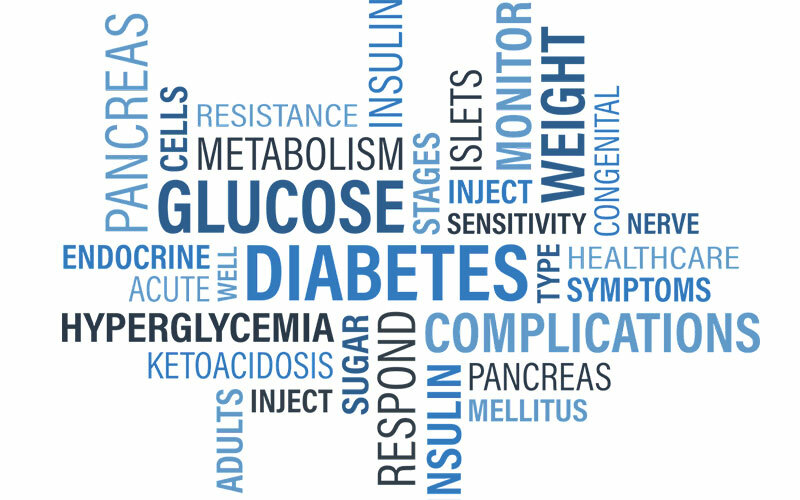 Ninety percent of patients with diabetes have diabetes mellitus type 2. So why do we care? We've all heard of diabetes. We know someone who has a touch of the sugar. But why is it so important? It's important because diabetes can cause many, many complications, including heart attacks, strokes, it can cause retinopathy, which leads to blindness, it can also cause neuropathy or problems with the nerves. Diabetes can cause poor circulation, which can cause amputations of your limbs. Diabetes can also cause kidney disease. In fact, diabetes is the number one cause of kidney failure in America. Most patients with diabetes have no symptoms initially. But even with no symptoms, elevated blood sugars are still toxic to the body. The actor and comedian Tracy Morgan has the diagnosis of diabetes. He has shared that initially, he didn't take his diabetes all that seriously because he did not have any major symptoms. So all this time while he's been entertaining guests on Saturday Night Live, 30 Rock, and now he's got The Last O.G. out, all this time he had been suffering from diabetes, initially with no symptoms. Tracy Morgan did ultimately have kidney failure and he has now had a kidney transplant. So, yes, even though diabetes does not have symptoms initially for most people, it is still very serious. When patients do have symptoms of diabetes, they can include increased thirst, also an increased frequency of urination where you just run to the restroom all of the time. You can also get unintentional weight loss where you end up just dropping pounds, dropping weight and you're not even trying. Other symptoms can include fatigue and even blurry vision. What puts you at risk for diabetes? If you have a first-degree relative with diabetes, like a parent, a sibling, or a child, then you have a 10 times higher risk of developing diabetes yourself. Also, if you have pre-diabetes, then you are at risk. If you have had gestational diabetes or high blood sugar while you were pregnant, you're at increased risk of developing diabetes. Obesity can put you at risk as well, especially abdominal obesity or increased belly fat. However, please, don't get it confused, just because you're thin that does not mean that you cannot develop diabetes. Look at the broadcaster Larry King. Larry King has diabetes mellitus type 2 and he is all the way slim and trim. How can you be tested for diabetes? 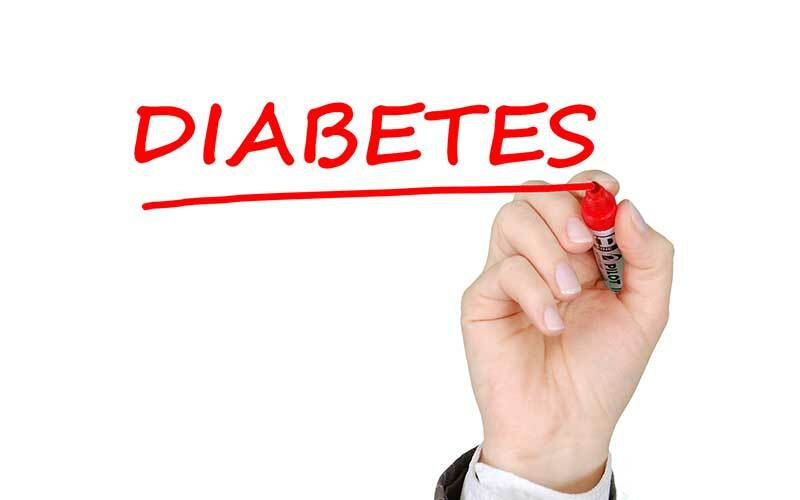 How can you be diagnosed with diabetes? You can have a fasting blood sugar, a blood test that's done after you've been with no food for at least 8 to 12 hours. If your fasting blood sugar is 126 milligrams per deciliter or greater, there's a high chance that you have diabetes. You can also have a random blood sugar test. Meaning it doesn't matter what time of day, it doesn't matter how long ago you've had a meal. If you have a random blood sugar of 200 milligrams per deciliter or greater, and you have symptoms of diabetes, you likely have the diagnosis. Hemoglobin A1c is another test. Now, this is a blood test that actually measures the average of your blood sugars over the past two or three months. If your hemoglobin A1c is 6.5 or greater, then you likely have diabetes. The oral glucose tolerance test is another one where you are given certain amounts of glucose by mouth and then two hours later, if your blood sugar is 200 milligrams per deciliter, again, you likely have diabetes. For any of these tests, it is customary to repeat the test on another day. If these tests are positive twice, then you likely have diabetes. This ends my overview of the definition of diabetes. Indeed, diabetes is a very serious and chronic illness, but if you have diabetes, by no means is it the end of the world. Anthony Anderson from the hit show Black-ish has diabetes. The legendary diva Patti Labelle is also living with diabetes. Clearly, these two are still winning, and you can too, but you need to take care of yourself. With diabetes, you can't run, you can't hide from it. You need to go to your doctor and make sure that you maintain normal blood glucose levels and that you prevent those complications. Have questions? Please comment down below and let me know what else you'd like me to talk about. I want you to prioritize yourself. Go to your doctor, get screened for diabetes, and strive to live your healthiest, happiest life.